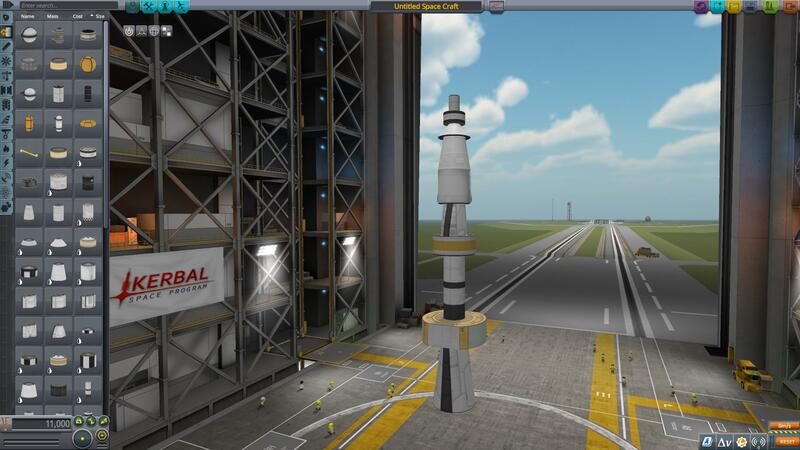 After many requests, and a long wait, Squad is finally replacing the old parts with more sleek and realistic looking rocket parts to much praise from the KSP community. The new parts do look great but as they move to completely overhaul all of the old parts, a new problem is emerging. The parts, as awesome as they appear, are becoming difficult to tell apart from the parts list. Which part goes with which size and which fuel tank is which, and so on. The old KSP parts, at least had the benefit of being unique and visually distinct from one another. Though that's one issue players had, that parts never meshed well with each other but that same problem was a benefit. Especially for new players. Having watched many YouTube videos of players trying to build rockets and trying to make sure they have the exact right part, whether to copy a rocket from another video, or to build their own; knowing what precise part you're using can mean the difference between a successful mission, or a RUD. So the best two suggestions are to make parts distinguishable enough in the parts list again; to provide more details on the parts list so that you can tell them apart; or to redesign the parts list UI to make identifying parts easier as a whole without any part changes (certainly the more difficult of the 3 suggestions). I admit I am an old player and I adapt slowly to changes, but I feel that this is an issue that old and new alike could end up experiencing, and am curious if anyone else has thought the same. This. Since the overhaul I spend twice as much time in VAB, trying to figure out which tank is which. I know, their names didn't change, but I personally never looked at names - I was getting what I wanted by simply looking at the part thumbnail. And, those sorting buttons at the top, what are they? Mass, Name, Cost, Size. And while first three are pretty self-explanatory, size is totally messed up. Here's an example: I took some parts from the list going from the top and placed them in order. Do you see any inconsistency? Mk0 fuselage, 1.25m short tank, adapter from Mk0 to 1.875, another adapter from 1.25 to 1.875, tank of the same size, 1.25m to Mk2 adapter, short 2.5m tank, THEN long 1.25m tank(! ), then Mk3 short, then Mk2 to 2.5m adapter. What. How. Why. My guess is they are actually sorted by their surface area. While we're at it, there's another thing I think would be even more convenient. Sections. Groups, however you call it. That way, parts that end with the same node would be grouped together, titled adequately. There should be a size filter that applies to the main category menus (as opposed to the current filters that groups all the parts into one). There would be a list to toggle part sizes, like in Janitors Closet. Maybe this list could be opened by right-clicking "Size" (under the search bar). I think just adding a label on the thumbnail of each part with the diameter/form factor would be the simplest solution. I've actually modified all the names of the tanks so they sort by diameter and length. I've done similar with every part actually. Why this isn't the default is sort of head scratching. I've actually modified all the names of the tanks so they sort by diameter and length. I don't suppose that is a stealable modulemanager patch, is it? Unfortunately not. I did it directly when I replaced the stock parts in 1.3.1 with Ven's. I did it that way so I could remove stock textures and models and what not. Fewer MM patches and less ram usage. Fewer MM patches and less ram usage. Fair enough, I guess could do this just as well with bash & sed as modulemanager. I have RAM to burn though, and I feel such a solution would be a little fragile, especially when dealing with game updates. Might go whip a MM patch up then, the organisation of tanks (and parts in general) in the editor has annoyed me forever. Thanks for the idea. On memory consumption and textures in general, the problem is not too many textures or parts in the game, it's the boneheaded decision to load every possible texture into RAM on startup. 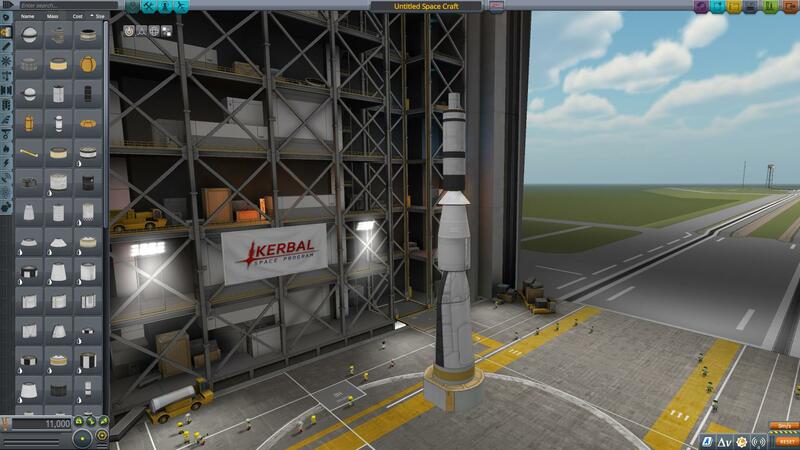 There are many games that include more and larger textures and yet use a fraction of the memory KSP does, because they load them on an as-needed basis. The loading-free gameplay problem has been largely solved before too - witness Idtech's "texture streaming" system, which by all accounts could handle, say, streaming in surface textures from disk while travelling over terrain. It totally is. I started the project when I realized I might be on 1.3.1 for some time. It was also a fun side project though, and really educated me on all the pieces of config files through out the KSP catalog. You've been posting for months now about how you refuse to play the game without a joystick. Did you have a change of heart or something? I know its a mod, anf there are people who refuse to use mods, but have you all considered FilterExtensions?